Japan-America Society of Oregon - JASO's 2017 New Year Celebration "Shinnenkai"
JASO's 2017 New Year Celebration "Shinnenkai"
REGISTRATION IS NOW CLOSED. IF YOU WANT TO ATTEND, CALL THE OFFICE BEFORE 2PM AT 503-552-8811. Join us for our traditional Japanese New Year’s Celebration including Osechi, sushi, dessert, beer and sake, traditional music, fukubukuro, kimono and more. 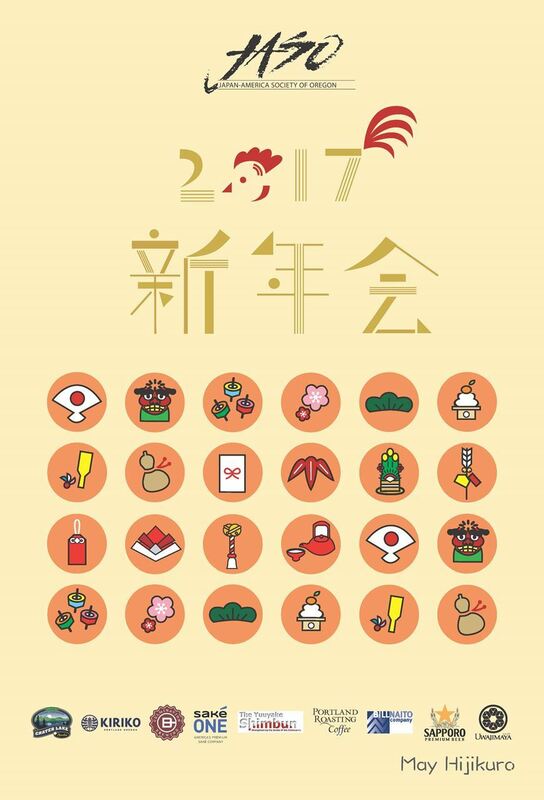 Celebrate the Year of the Rooster with Japanese and American friends together, for one all-inclusive price. Shinnenkai will sell out, so purchase your tickets today. Delicious menu provided by Syun Izakaya, Koji Osakaya.